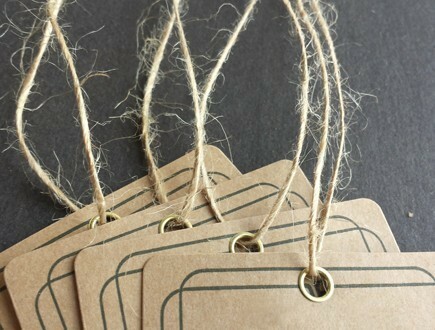 Rugged, rough, and handmade products need hang tags that will help to tell the story, from start to finish. 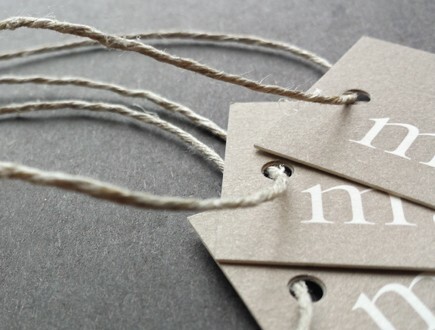 Our selections of natural fibers have the vibe and character to round out that message where it lives, on every bottle, jar, garment, and gift. 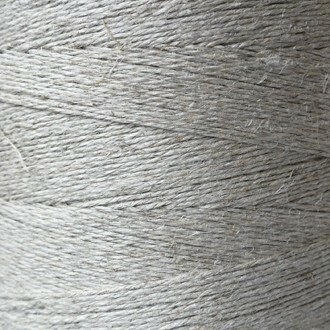 The natural feel and unpolished appearance of these contribute to the popularity of a rough-cut look in these markets. 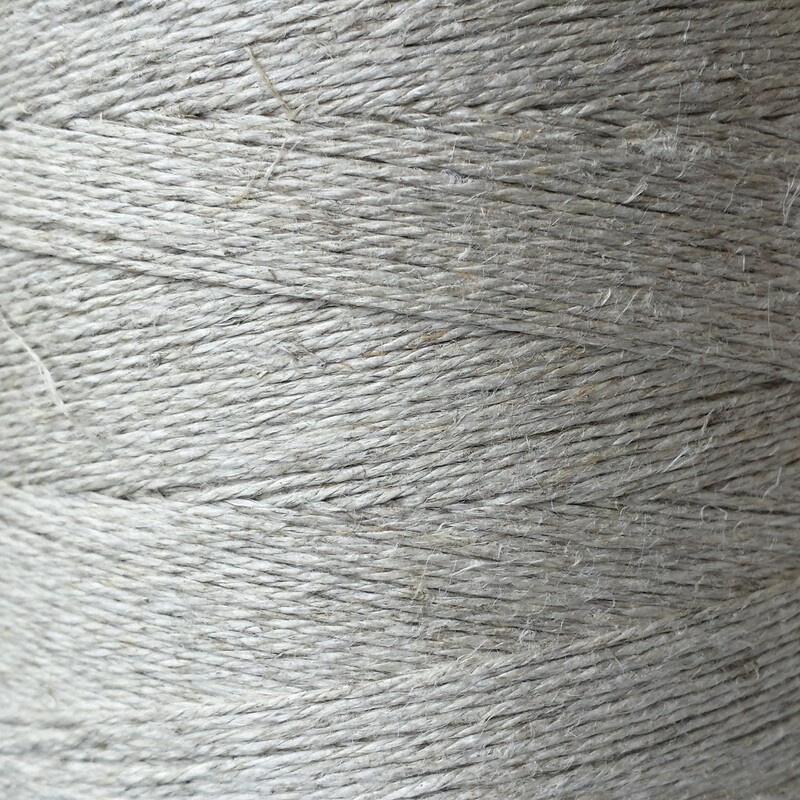 Our natural fibers lend an authenticity to any artisanal product or hand-hewn object. 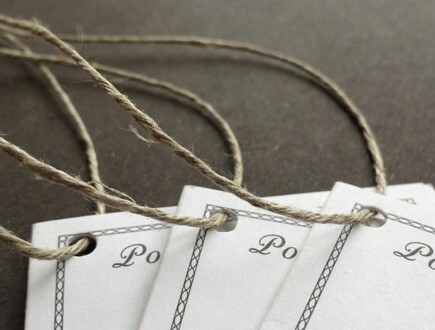 These options are excellent materials for telling the story, yet they can also be quite economical, to boot. 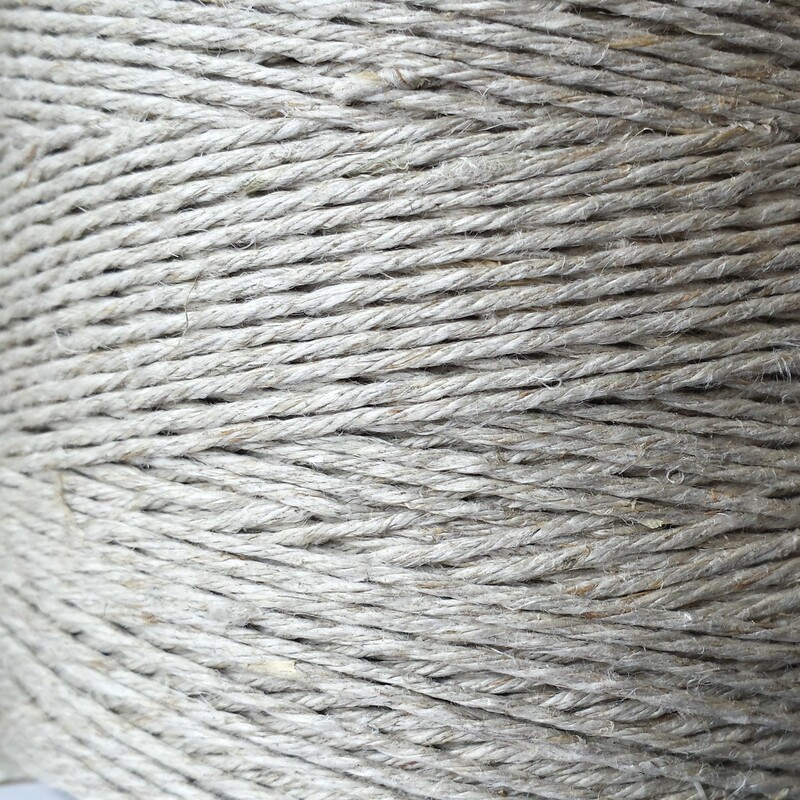 Our jute twine, for example, as shown below, is a wildly popular option, both for its looks and its economy. 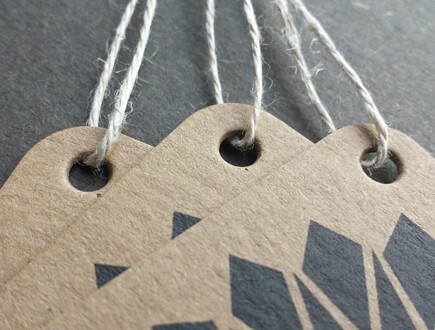 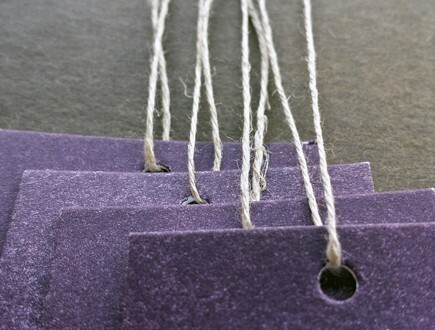 This is a fantastically cost-effective material, and one of the simplest ways to make a tag look more handmade. 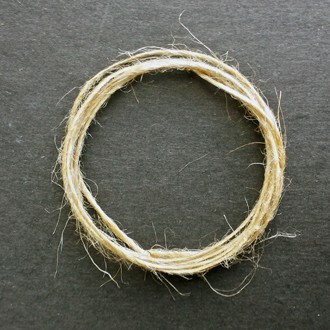 Be sure to check out all of our natural fiber strings below. 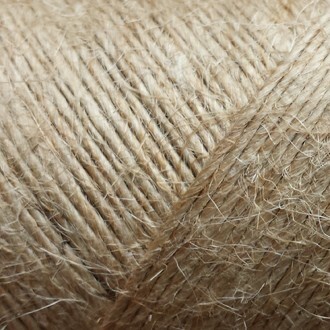 Our single-ply jute twine is a little rough around the edges - a great and inexpensive choice for a tag attached to a specialty food product or beverage. 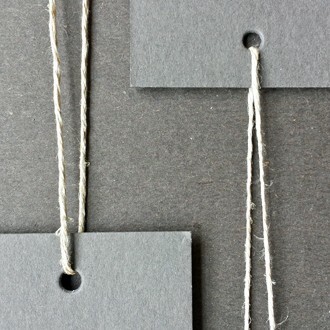 Garment and accessory tags also use jute with a metal eyelet to convey a rugged simplicity. 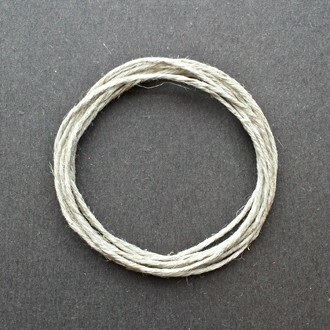 Perennially cool and authentic, our lightweight 3-ply braided hemp twine is wet-spun. This natural fiber is famously useful, with many historical applications in garment and textile production. 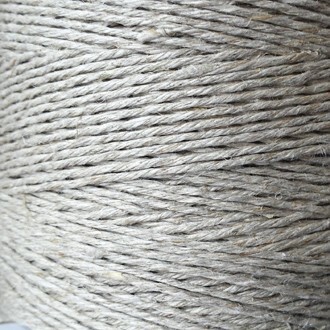 Our heavyweight 6-ply braided hemp twine is noticeably thicker, and roughly equivalent to the size of our jute, well-suited for a heavier-looking tag. 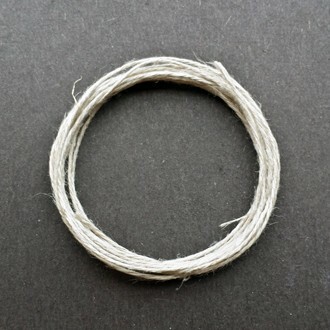 Both weights of our hemp (and our jute twine) require that we punch a 5/32" hole, as shown in the accompanying image. 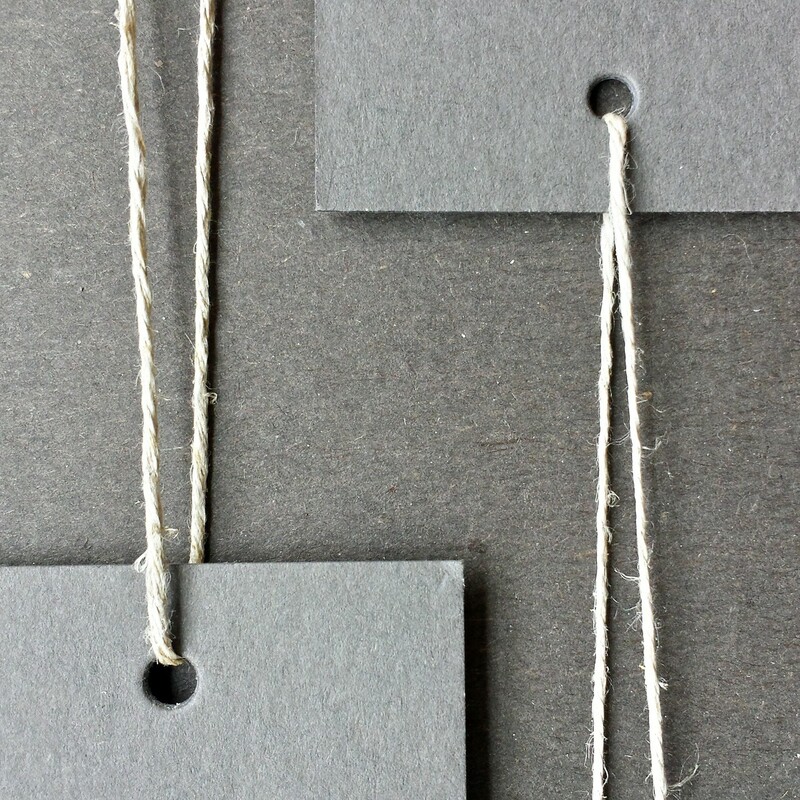 As with any digital representations of materials, seeing a material does not yield the same experience as holding a a physical sample. 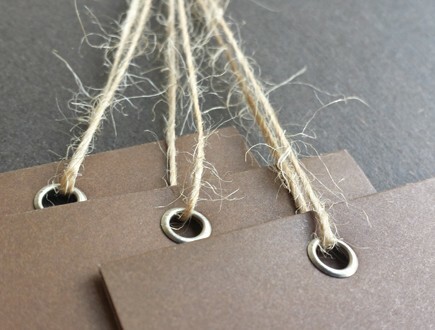 Contact us to learn more or request samples of any item pictured here.